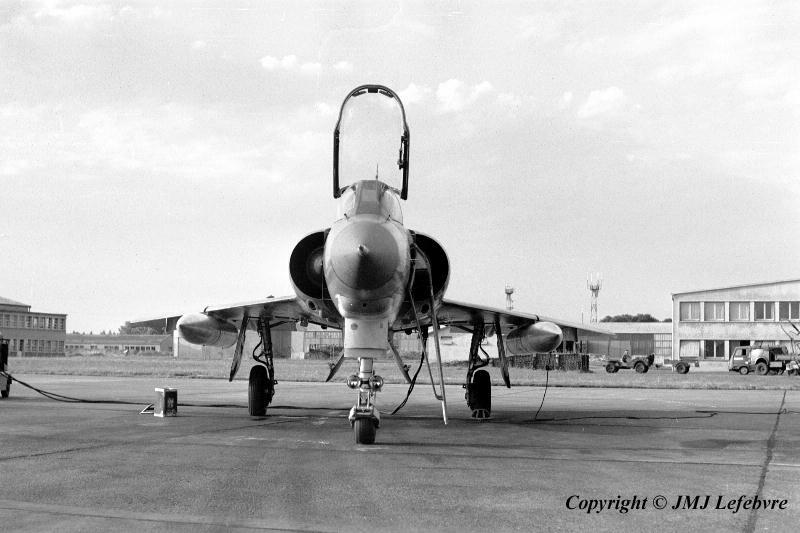 Head on view of 4-BQ fitted with 500 liters supersonic tanks. 30 mm gun muzzles are located in the floor of each air-intake of the reheated SNECMA ATAR 9C. Note the typical oblique position of the main U/C legs.